This is the eighth part (see also parts one, two, three, four, five, six and seven) of an open ended series to document the recovery of the tsunami hit coast of northeastern Japan where nearly 20,000 people lost their lives, and entire towns were destroyed in the afternoon of March 11, 2011. 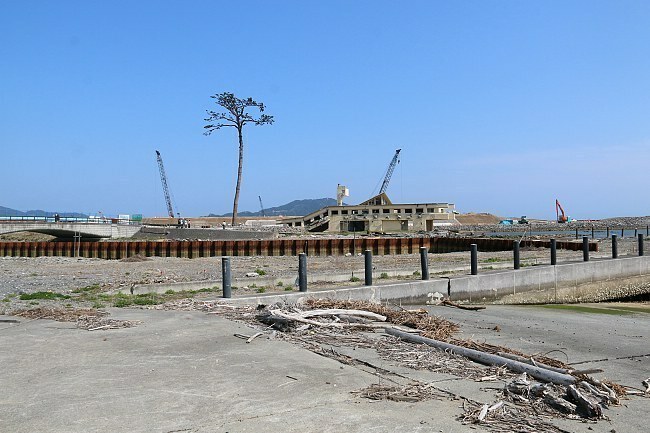 Four years after the tsunami, we revisited some of the worst hit cities along the Sanriku Coast in Miyagi and Iwate Prefectures on April 23-26, 2015. One year year after our last visit, we witnessed a lot of visible progress. 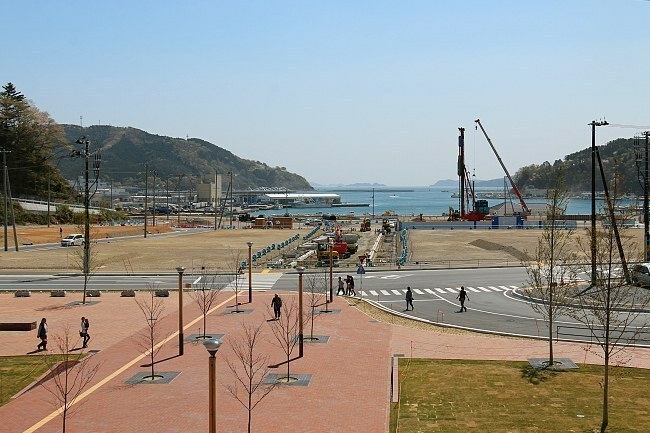 Most eye-catching was the work on raising the ground of former town centers that were flooded and destroyed by the tsunami. 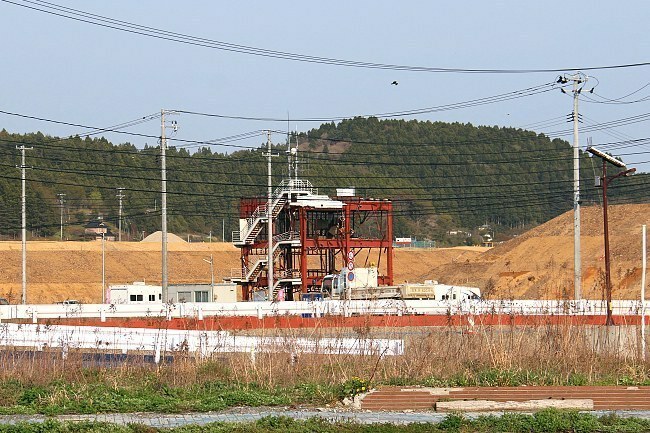 Innumerable trucks (and a gigantic conveyor belt system in Rikuzentakata) keep on transporting the inconceivable amounts of soil required to raise the level of these towns to a height that will make them less prone to flooding by future tsunami. 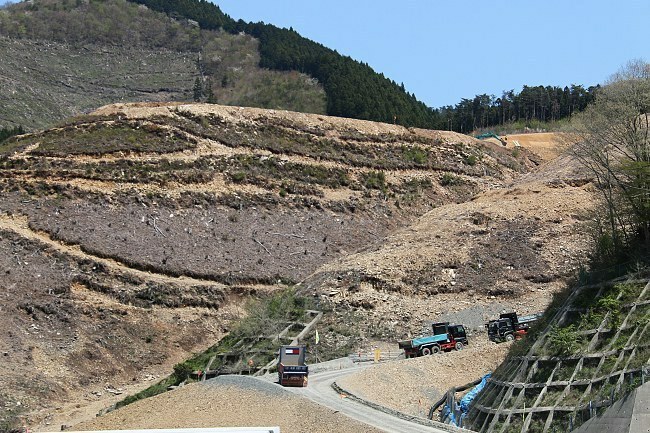 Work has also progressed on creating elevated plains into the hillside where new residential districts will emerge for the many people who lost their houses and apartments in the tsunami. Some of these new residential districts have already been completed, but the large majority of them is still being worked on, and it is going to take another couple of years until most of them will be inhabited. In the meantime, towns of temporary residences remain omnipresent. 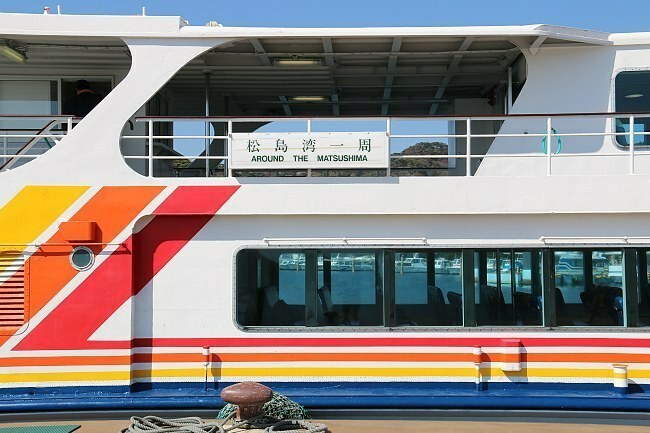 Like so many rebuilding projects, the refortification of the coast has split opinions, especially in Miyagi Prefecture whose governor is intent on building a particularly tall seawall, dubbed by some of its critics as the "Great Wall of Tohoku". In many coastal towns, the construction project runs against the will of local inhabitants many of whom doubt the effectiveness of the seawall and prefer to continue a lifestyle that lets them see the ocean. 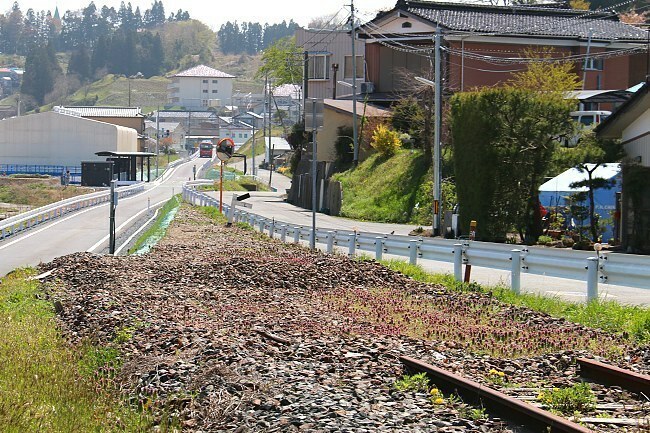 In the area of transportation, it has been decided that the severely damaged, coastal JR line between Miyako and Ofunato will be repaired and transferred from JR to the Sanriku Railway. The full reopening of the line is expected for around 2018. 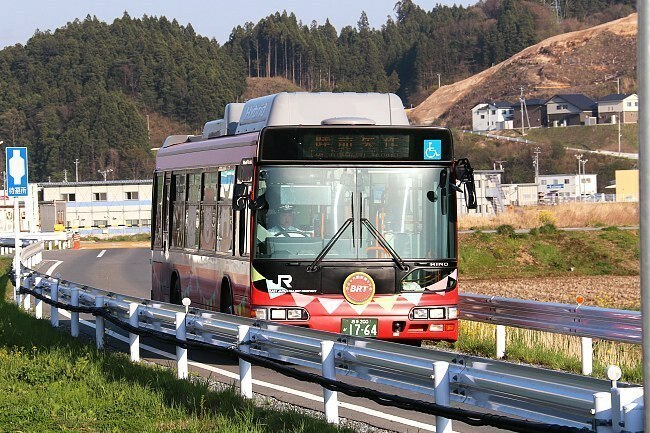 Meanwhile further south, the rapid bus service along the former JR Kesennuma and Ofunato Lines is increasingly using dedicated roads converted from the former railway tracks, separating it from the regular car traffic and increasing its speed. 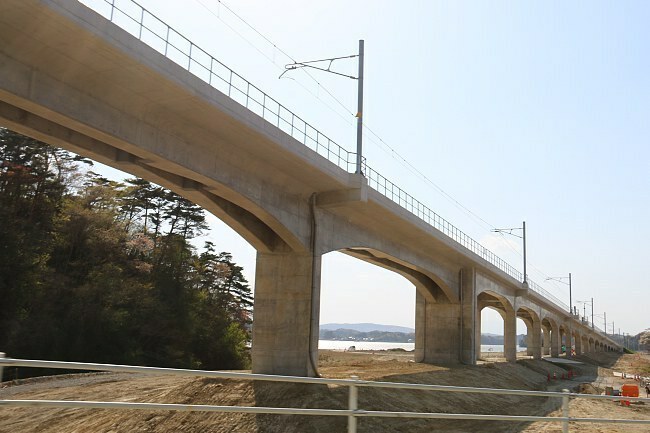 The JR Senseki Line, the fastest train connection between Sendai and Ishinomaki, will be fully reopened on May 30, 2015. 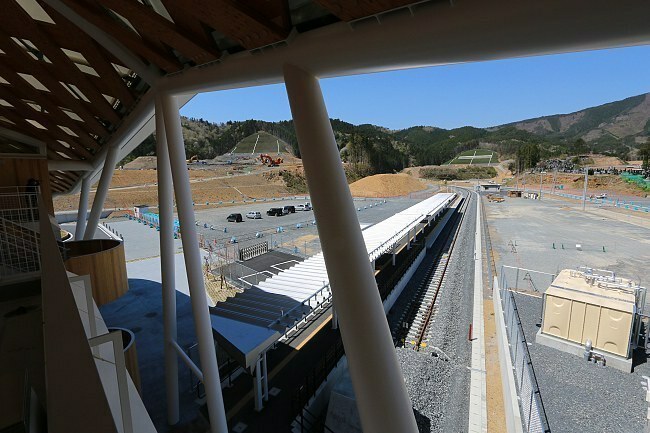 One section of the line was moved further inland from its original route, and thanks to a new connection between the Senseki Line and Tohoku Line, rapid trains will commute between the two cities in just under one hour, about ten minutes faster than before. 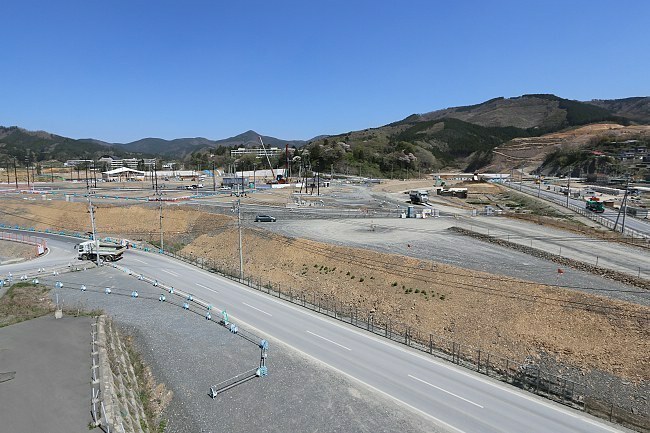 Last but not least, work is also progressing on the extension of the Sanriku Expressway, with many new sections scheduled to open within the next three years. 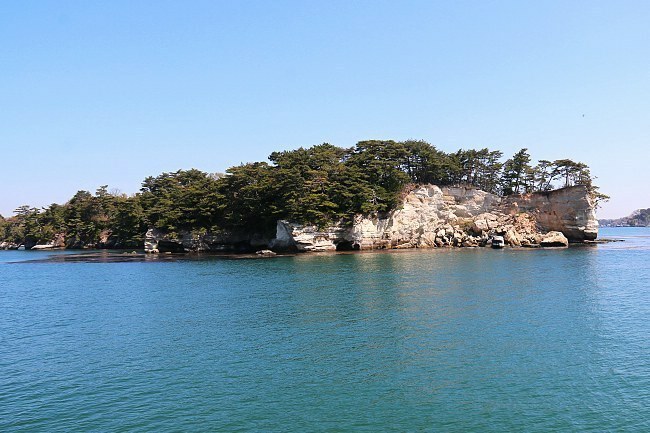 This time, we started our visit in the north in Miyako and drove southward as far as Matsushima. 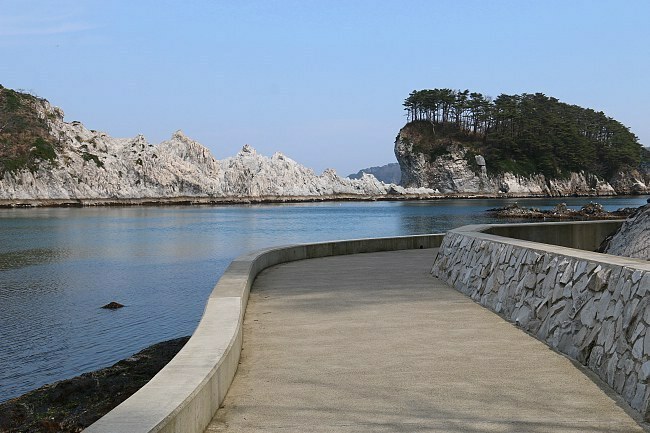 In Miyako, the reconstruction and beatification efforts at Jodogahama Beach have been almost completed, and the tourist destination is now even more attractive than before the tsunami thanks to the pleasant waterfront trail, the removal of old, ruined buildings and a nice, new bus terminal. 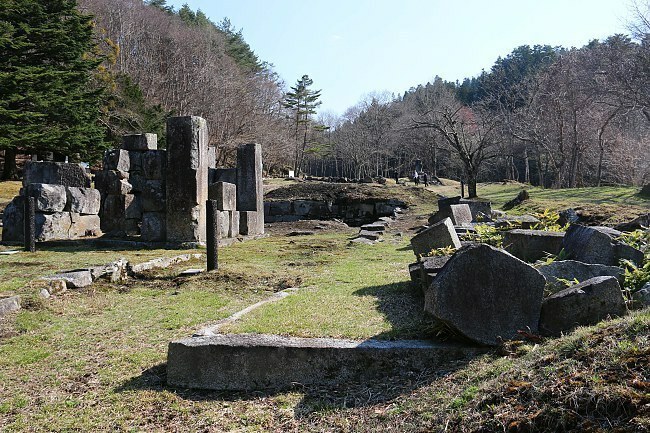 In Kamaishi, we left the coast and drove half an hour into the mountainous interior to visit the ruined grounds of Japan's first Western-style iron blast. 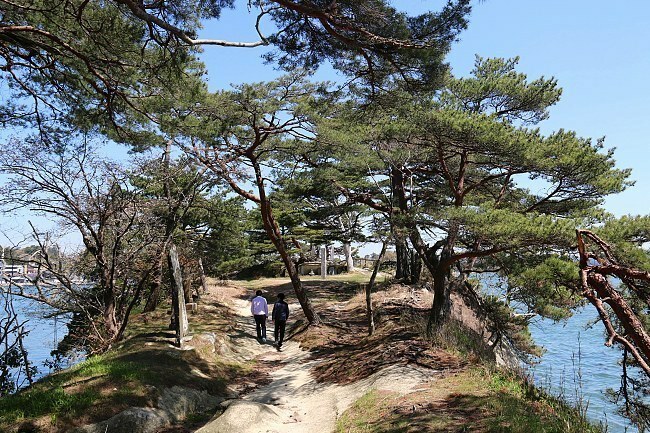 Kamaishi has been an important center of Japan's iron industry, and the ruins are expected to become a World Heritage Site together with other sites relevant to Japan's industrialization later this summer. The city is also famous for rugby and happy to have been selected as a venue of the 2019 Rugby World Cup to be held in Japan. 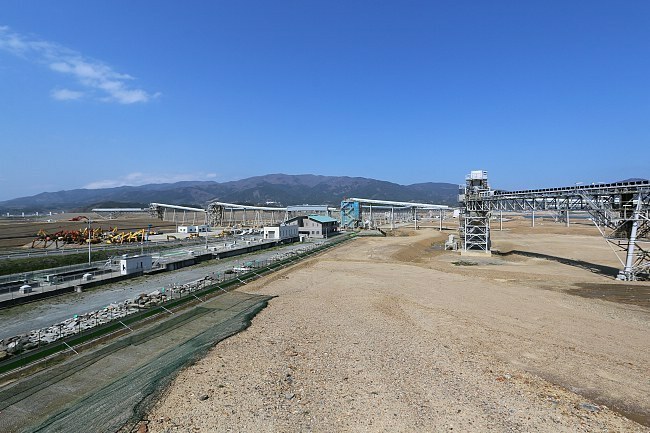 In Rikuzentakata, the huge conveyor belt system extended its fingers further towards the former city center and continues to deliver the tremendous amounts of soil required to refortify the coast and raise the city's grounds by several meters. 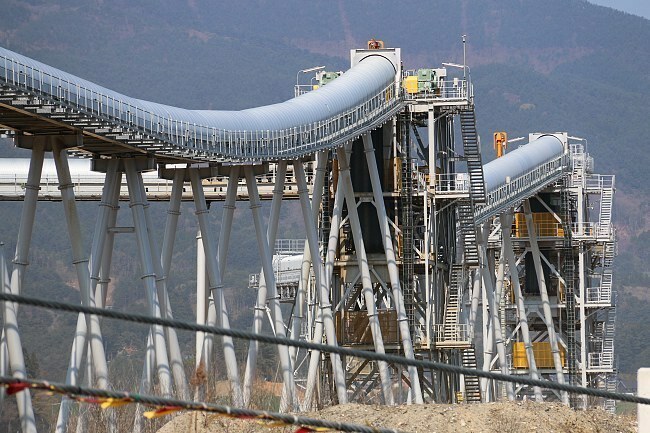 Between the conveyor belt and the sea, the "Miracle Pine" continues to attract a steady stream of visitors. A small parking area with shop and cafe has been opened nearby, and a new observation deck near the tree allows for views over the city. 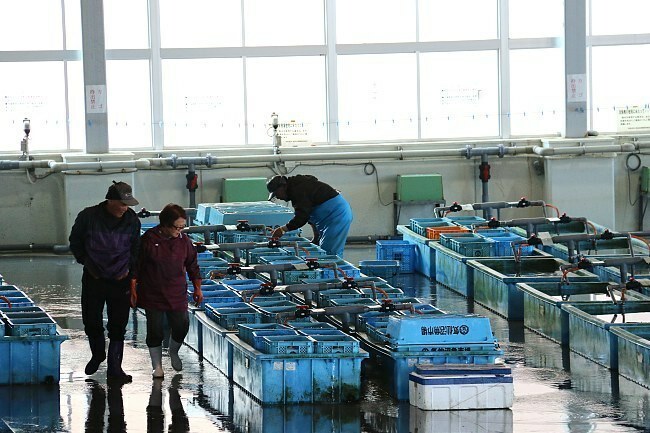 In Kesennuma, the Umi Ichi market was finally reopened next to the fish market. It caters to tourists with shops and restaurants selling seafood and other local products. 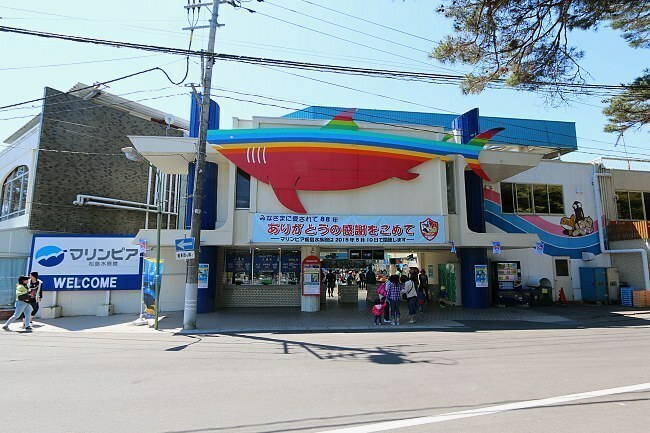 It also houses the reopened shark museum which includes an exhibition about the tsunami (unfortunately in Japanese only). Furthermore, a public observation deck lets visitors observe the morning action at the fish market. 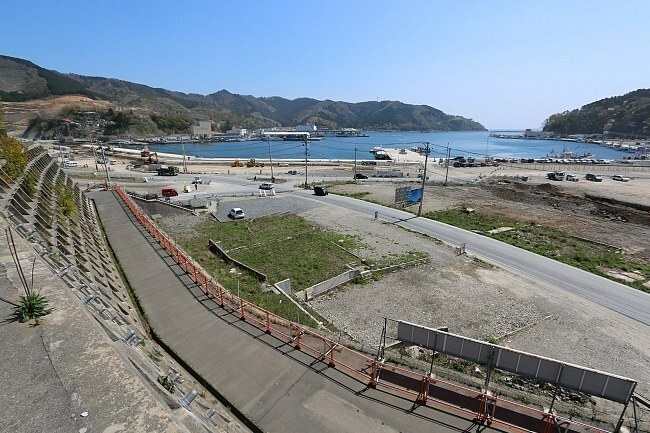 Kesennuma's badly hit Shishiori District and former site of the stranded Kyotoku Maru 18 ship is also changing quite dramatically as the ground of the district is raised by several meters. We had the pleasure to spend the night at the Minshuku Tsunakan on the Karakuwa Peninsula outside of central Kesennuma, one of the friendliest lodgings I have ever stayed at. 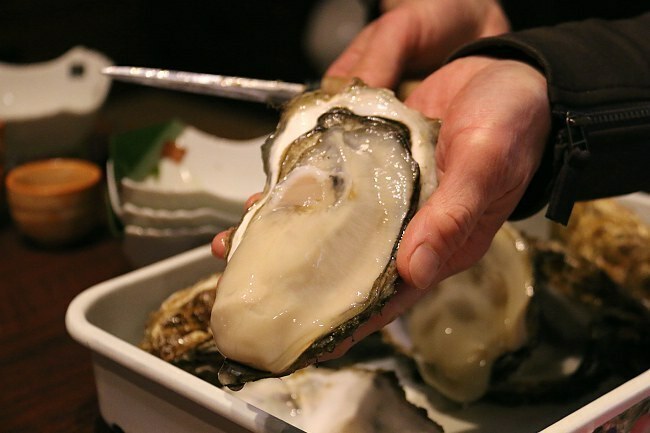 The cheerful owner is also cultivating oysters which the minshuku's young cook is preparing in a wide, delicious variety of styles. 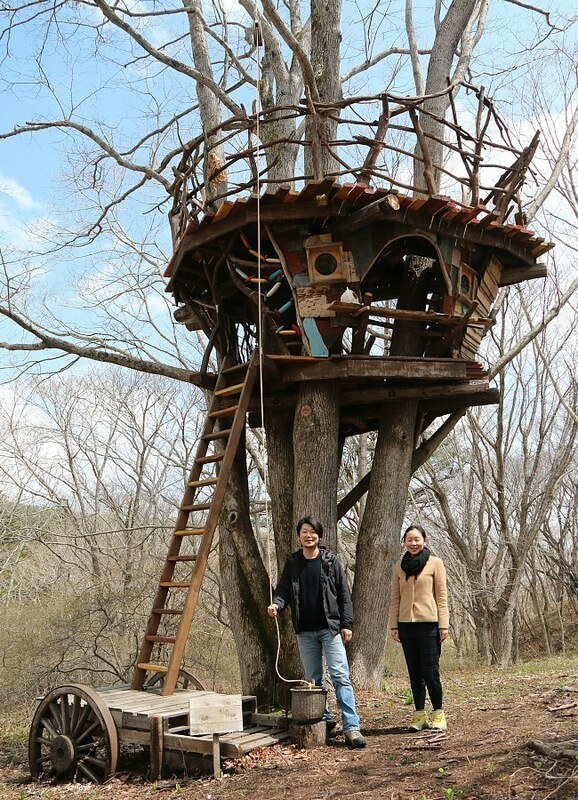 Next to the minshuku, treehouse #004 of the Tohoku 100 Tree Houses project by Itoi Shigesato, a prominent copywriter and essayist, is currently being constructed. The project aims at creating spaces for people to gather. We also visited houses #000 and #001 in the mountains west of the city center and were happy to feel a dynamic of recovery from the project members and in the city of Kesennuma in general. 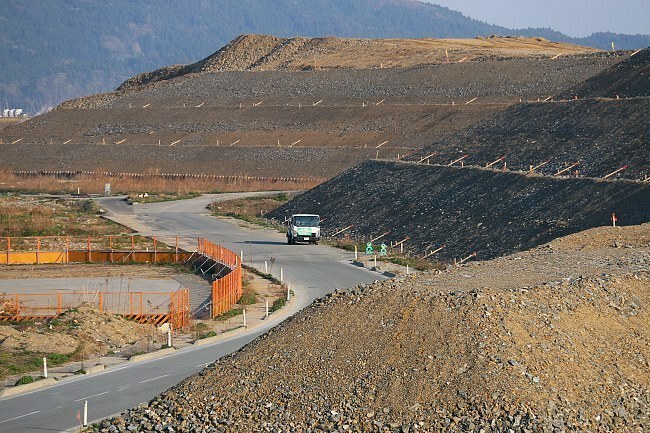 The town of Minamisanriku changed most dramatically over the past twelve months. The ground of the former city center is being raised by several meters. As a result, the hillside park from where we have been taking our photos of the town periodically over the past four years, was now suddenly not hilltop anymore, but located at the same level as the main street. 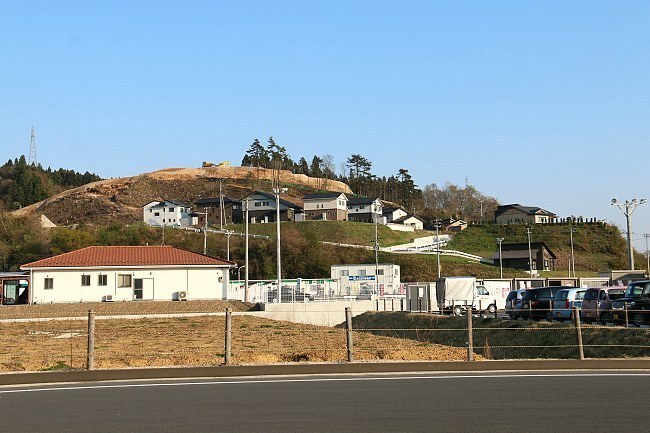 After a long debate about whether to preserve Minamisanriku's Former Crisis Management Center or tear it down, a decision was finally made in favor of preservation. The prefecture is going to purchase the structure from the town and fund its preservation until the year 2031 before a permanent decision on its future is made. It was argued that it took similarly long to decide the fate of Hiroshima's A-Bomb Dome. Some wanted the Former Crisis Management Center torn down because it reminded them of the disaster's horrors or they did not want the town to carry the high preservation costs, while others regarded it as one of the few remaining places to commemorate the lost ones. Now it will survive as a memorial and a site to educate future generations. 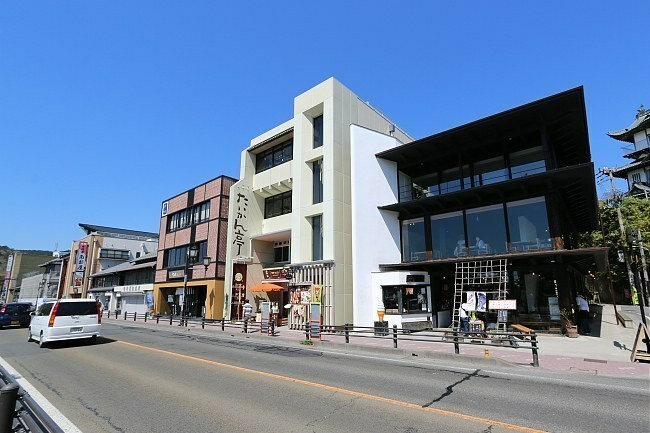 Ishinomaki's city center continues to become brighter and livelier. A new recovery market was just opened on the day of our visit, replacing the former one which had to make way to the reconstruction works. 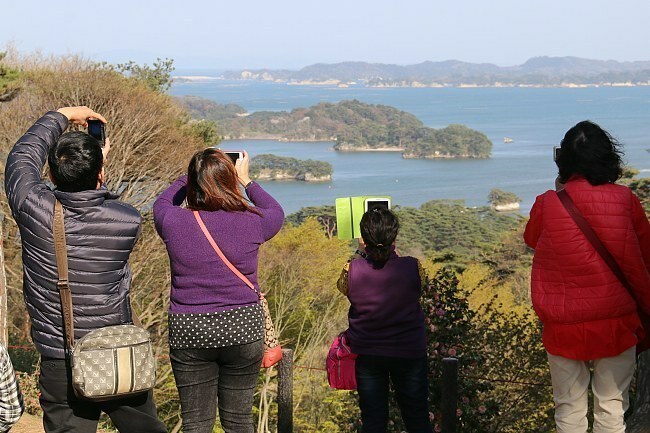 The views from Hiyoriyama Park changed little. 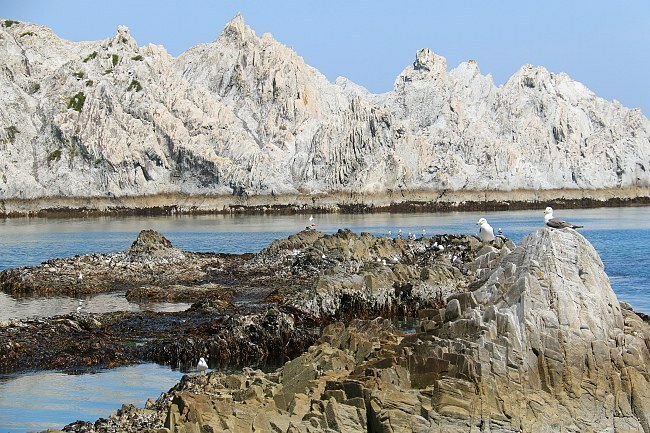 The coastal district below is scheduled to be eventually turned into a commemorative park, but little progress has been made yet as there are many higher priorities that need to be addressed first. 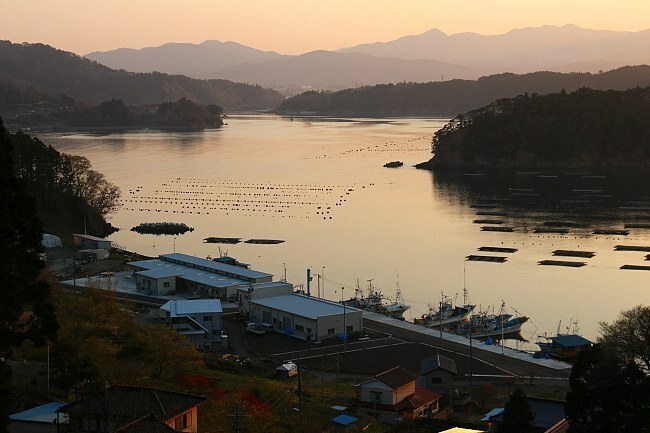 This year, we made our first ever visit to the port town of Onagawa, not far from Ishinomaki. 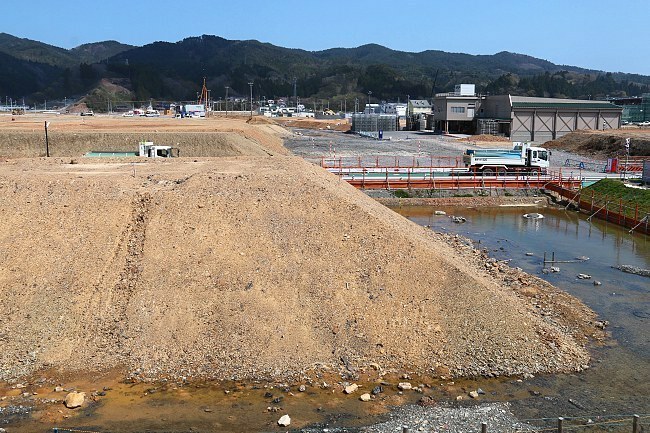 Onagawa's town center was badly hit by the tsunami, but reconstruction here has proceeded quite far already. 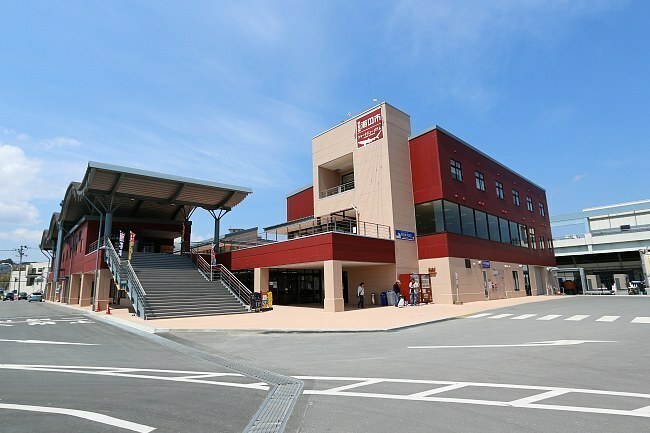 A new station building was constructed and opened a few weeks ago, and train traffic from Ishinomaki has resumed. 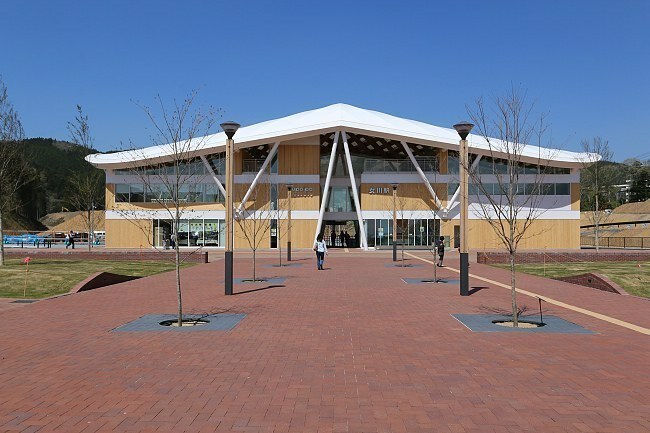 The approach to the station will soon be developed into a shopping area and public park, some of which is scheduled to open within the year. 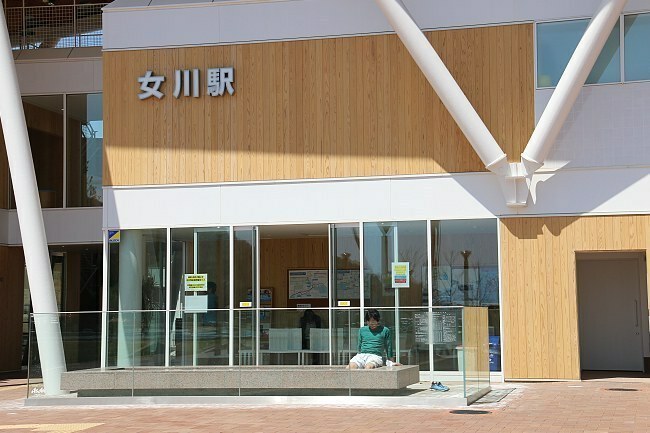 The striking station building by Ban Shigeru resembles a seagull and houses a public bath. A foot bath is also available. 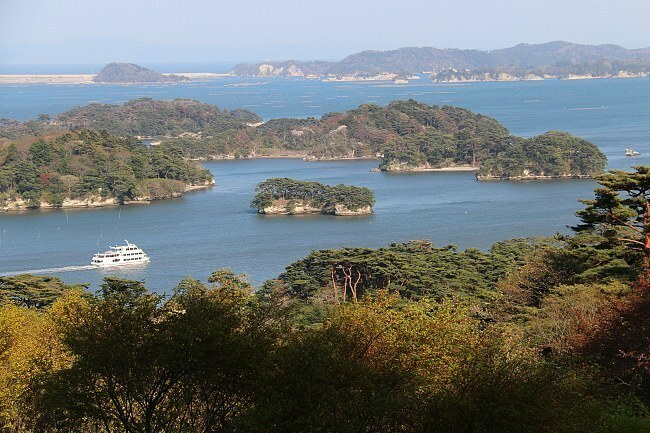 We ended our trip along the Sanriku Coast with a weekend visit to Matsushima. We were happy to see the town packed with tourists. 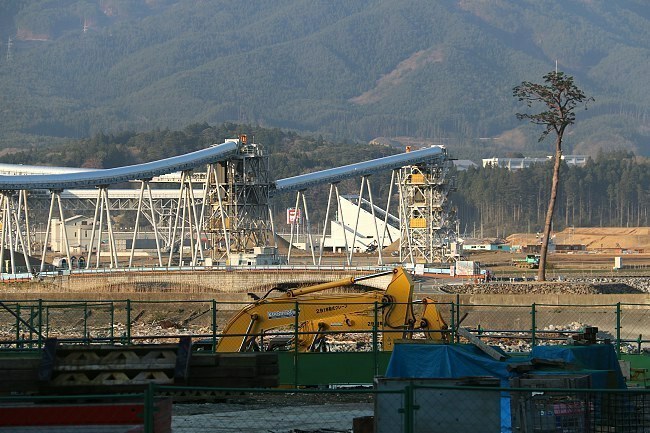 The bridge to Oshima Island was rebuilt already in 2013, and not many signs of the tsunami remain visible. The Marinepia Aquarium, which was badly hit by the tsunami but reopened within just a few weeks, closed its doors permanently after the end of this year's Golden Week. The aging complex was originally opened 88 years ago, and most of its inhabitants will move to a new aquarium in nearby Sendai, scheduled to open on July 1, 2015.